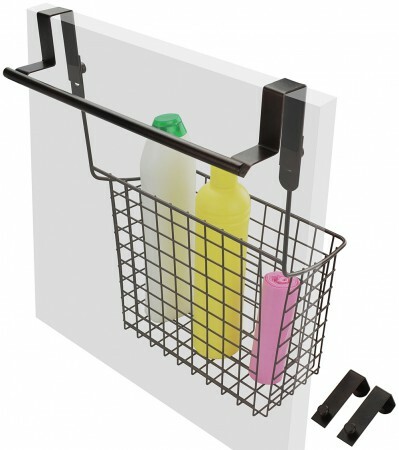 11.3 inch Towel Bar and Basket hangs together or works separately. Towel Bar for dish towels, pot holders. Basket storage for holding kitchen, bathroom or laundry room items, cleaning supplies, hair and accessories.